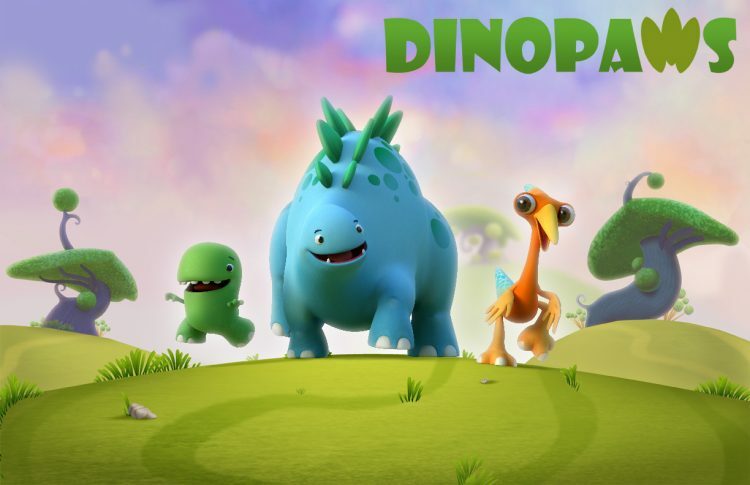 I was delighted to hear that Dinopaws has been nominated for a Children’s BAFTA, in the pre-school category. The 52-part animated show features three young, charismatic dinosaurs named Bob, Gwen and Tony, whose boundless sense of curiosity always leads them on exciting and magical adventures. Each episode follows the dinosaurs on their discoveries, whether it’s a new friend, an important feeling or just a funny noise. An original concept created and developed by Alan Gilbey, Kindle Entertainment and Impossible Kids, together with Guru Studio, Dinopaws presents a world seen through the eyes of pre-schoolers: a place brimming with magic, wonder and endless possibilities.